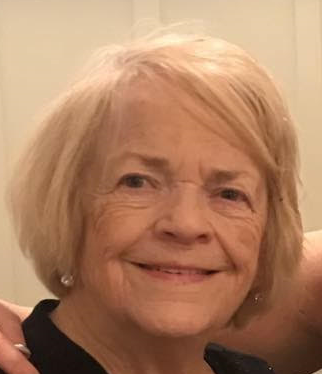 Carol A. McMurtry of S. Weymouth formerly of N. Fort Myers, Fla. and Rockland, October 24, 2018, age 82, Loving wife of the late William J. McMurtry; Loving mother of Richard P. Leeping Jr. and wife Pam of Scituate and Donna M. Doherty and husband Gerard of S. Weymouth; Loving sister of Janet Lothrop of Stoughton and her late husband Joseph, and Daniel Sweeney and wife Linda of Mashpee; Loving grandmother of Hannah and Nicholas Leeping, and Danielle, Patrick, and Ryan Doherty. Several nieces and nephews. Carol was born and raised in Boston. She worked as a secretary at Rockland High School for 28 years. She was an avid Red Sox fan and enjoyed spending time with her family. Funeral from the Quealy and Son Funeral Home 116 Adams Street, Abington Monday October 29 at 8am followed by a funeral mass in St. Bridget Church, Abington 9am. Visitation Sunday 2 to 5pm. Interment Mt. Vernon Cemetery, Abington.